Remember how tech bloggers seemed so jazzed about the iPhone XR because it was like the very expensive iPhone XS but incredibly cheaper? It looks like the public is not as jazzed. Nikkei Asian Review reports that Apple has canceled a production boost for the iPhone XR, which is apparently not selling as well as the company had originally anticipated. The iPhone 8, however, is selling better than expected. Maybe people like the Home button! This must be an awful surprise for Apple’s accountants. Based on the company’s marketing strategy, the new Face ID-enabled iPhones were destined for success. Yes, there were early murmurs about bad iPhone X sales, but Apple CEO Tim Cook later disavowed them, announcing that the first iPhone without a Home button was the company’s best-selling model for every week that it was available. This was also Apple’s first $1,000 iPhone, leaving many to wonder if the four-figure sum might be asking too much of consumers at a time when most cheaper smartphones do all the things you’d want a smartphone to do. Then, along came the iPhone XR. With that big, pretty screen, it looks a lot like the pricier iPhone X, and at $750, it costs a lot less. It also lacks the Home button and Touch ID security from earlier iPhone models. But why would anyone want those old things now that Apple lets you unlock your phone with your face? The moves to add orders for year-old iPhone models while suspending extra production for the latest product illustrates Apple’s lack of innovation and inability to energize consumers with such a pricing strategy. So it seems like the new iPhone X series might not be as jazzy as Apple had hoped. But maybe it’s not so much that the new big-screened, Face ID-enabled devices aren’t exciting. Maybe people really do just love the Home button. The iPhone XR doesn’t have one. The iPhone 8 does. It’s got haptic feedback, too. Tap it, and you really feel like you’re doing something. You definitely don’t feel like Apple has built an incredibly sophisticated camera that will scan your face even at impossible angles and unlock your bank account. The Home button is more simple than that. Then again, maybe these numbers are completely unrelated to an iPhone’s features. It’s hard to say what people like or hate based solely upon sales numbers. It’s equally difficult to determine whether gadgets live or die based upon slightly different features. It might just be the price. An iPhone 8 costs $600, and an iPhone 8 Plus is $700. 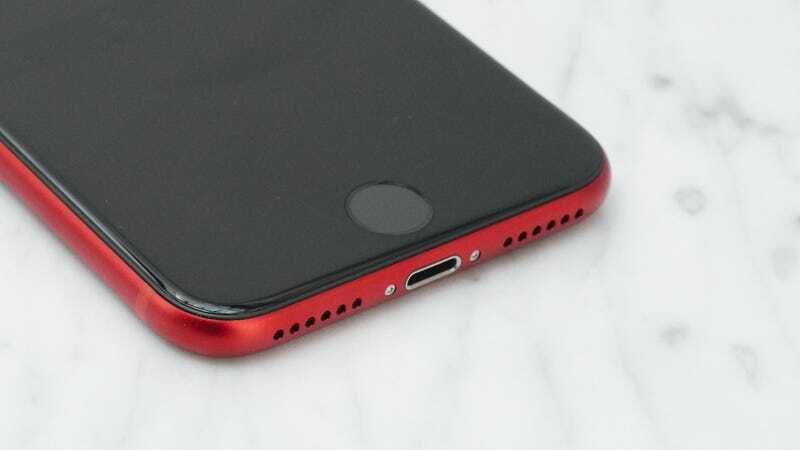 They’re both cheaper than the iPhone XR, and for those that care, they have a feature that the iPhone XR lacks: a Home button! This is all, inevitably, another signal that buying an iPhone is more complicated than ever. Apple wants you to spend $1,000 on a device, but it’s also giving you more options than ever before to avoid doing so. Turns out this company is really good at selling stuff and making money. So even if the iPhone XR might not be as successful as everyone thought it would be, the world will still turn. And Apple will still make billions.